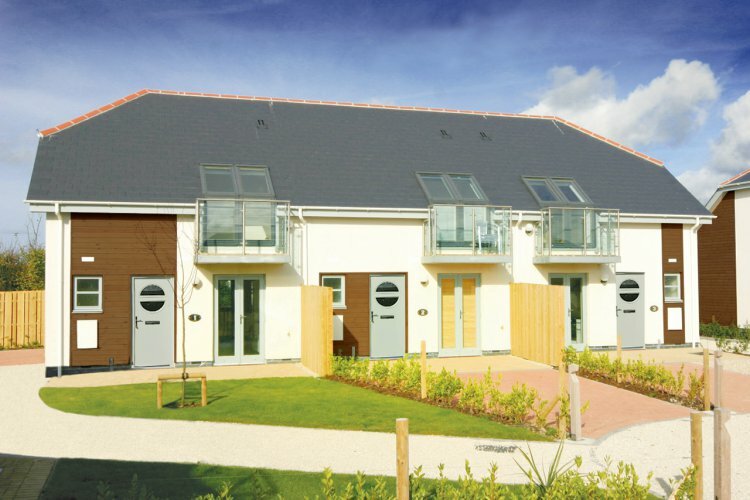 This stunning development of stylish and contemporary holiday villas is set within the St Merryn Holiday Village on the outskirts of St Merryn, just three miles from Padstow and close to seven spectacular bays. St Merryn is about a mile from the holiday villas where the amenities include a shop, several restaurants and pubs - including The Cornish Arms where Rick and Jill Stein are the new landlords! These self catering villas provide modern living with a high standard of comfort throughout. Ideally located just three miles from the popular Medieval estuary town of Padstow - noted for its busy fishing harbour and Rick Stein's famous restaurants. Across the estuary there is Rock, the magnificent sands of Daymar and a little further, Polzeath. There are seven bays all within easy reach from Bay Retreat with the nearest, Constantine Bay, just three miles away. Just a short drive south along the coast is Watergate Bay and Newquay, Cornwall's liveliest resort. Each self catering property has two bedrooms on the first floor and on the ground floor there's a kitchen and lounge/diner leading onto a private timber decked terrace and small lawned garden. Two-bedrooms, one double with balcony and TV and one twin. De luxe bathroom with bath plus shower attachment with shower screen and toilet. Lounge/diner with widescreen TV, plus DVD player and a high quality single sofa bed. Well-equipped kitchen area with integral appliances including electric oven and hob, microwave, dishwasher, washing machine and dryer, fridge and separate freezer, iron and board plus a wide range of kitchen utensils, crockery and cutlery. All bedding made up for your arrival, comprising linen, pillows and duvets. All towels and tea towels provided for villa use (except beach towels). Full double glazing and centrally heated throughout with a smoke alarm system. Ground floor internal storage area. Private garden with timber decked terrace and furniture leading onto small lawned area. Reserved parking space directly outside the villa. Maximum occupancy includes the use of a high quality single sofa bed plus an extra child bed if required. All Villas are non smoking.